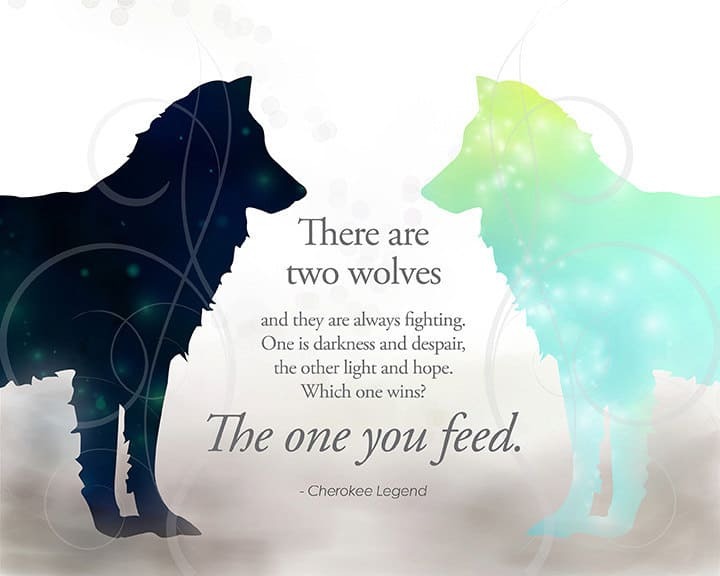 Which wolf are you feeding; feeding the the right wolf is crucial for your mental health. Human brains are hardwired to notice negativity, we are skeptical and careful and that is also the reason why we are not prone to engage in impulsive or risky actions, such as putting our fingers in the electrical outlets. Research has found that in a day, an average person has about 12,000 to 60,000 thoughts, and out of which, 80% are negative! Although negative thoughts are common, allowing them to go over and over in your head – known as ‘rumination’ – will lead to increased anxiety, depression and helplessness; hence, to what extend of negative thinking is fine? Is this event WHICH WOLF ARE YOU FEEDING going to organize again?